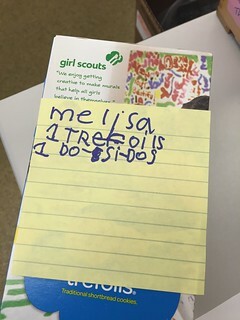 Bel sold 82 boxes of Girl Scout cookies last month, and last night we finished sorting and labeling them all for delivery. Jon lined the boxes up in the hallway, I got out a Sharpie and post it notes, and Bel went to town. 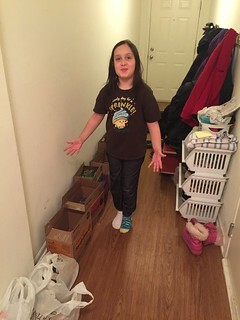 Two of those boxes were Thin Mints for her brother. "I think Girl Scouts should make THICK Mint cookies too" he said this morning, after getting out the label maker and making sure each of his boxes was properly stickered with his name. 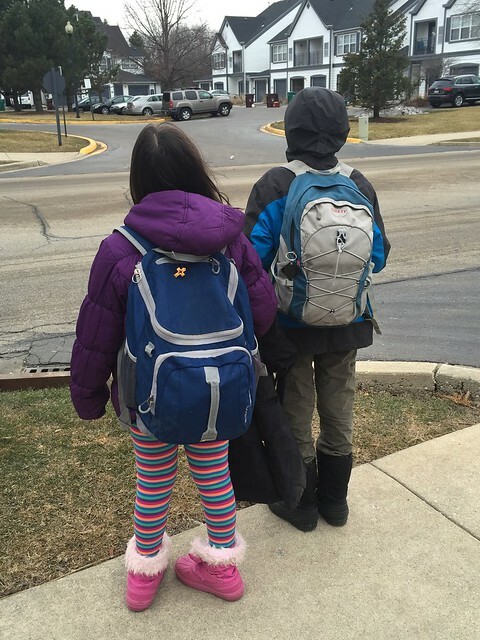 He is a month past his 11th birthday and a half-inch shy of 5' tall. Bel is only a few scant inches behind him. They will probably burn off the cookies I included with their lunches before they get back to their classrooms from the lunch room.